Donations are tax deductible in accordance with the law! All reservations and journal ads must be purchased here (click here). PAYMENT BY CREDIT CARD OR PAYPAL ONLY. ADS RECEIVED AFTER APRIL 21, 2019 MAY BE PUBLISHED AS A SUPPLEMENT. RESERVATIONS MUST BE PURCHASED BY APRIL 29, 2019. NO ADMISSION WITHOUT A RESERVATION. You don't want to miss our 2019 International Convention. Toronto is a great place for a family vacation, with the CN Tower, Ripley's Aquarium of Canada, St. Lawrence Market, Royal Alexandra Theatre, Steam Whistle Brewery, NHL Hockey Hall of Fame, Royal Ontario Museum, and a host of other attractions for your entire family. Arrive on Tuesday and enjoy a Blue Jays game vs. Boston Red Sox. Arrive on Monday and enjoy a Harbour Dinner Cruise. For all members outside of Canada, make sure your passport is up to date. Convention 2017 in Washington, DC was a great success. For 2019, we're heading back north to Toronto. Our 2001 Convention in Toronto was also very well attended. For 2019, we've selected a beautiful waterfront venue and we're planning on a number of exciting activities for you to explore the city. So plan to come early or stay a few days after convention. Hotel/Convention cost is $1,395 pp/Dbl occ, HVR-FJMC will subsidize $700 per attendee from our region. Registration opens soon at FJMC.org. The FJMC Statement on the Shooting at Tree of Life may be found here . Providing group, family, school-based and community support for survivors of suicide since 1980. Chief Planning Officer of The Mental Health Association of Westchester County, Inc.
Our Friday Night Shabbat Service at West Point for Friday night, October 5, 2018 has been postponed to a new date to be determined. 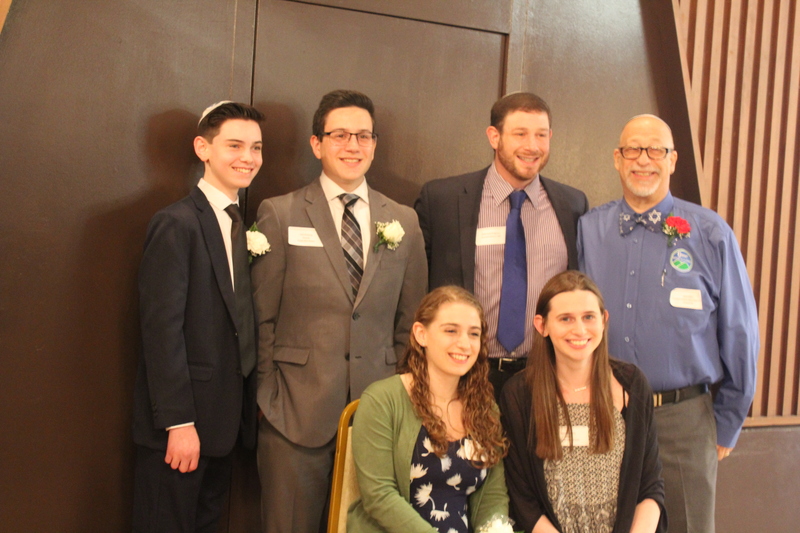 Hudson Valley Region of the Federation of Jewish Men's Clubs honored Men and Youths of the Year from Conservative Synagogues in the Hudson Valley Region, as well as Stanley Stern Exemplary Service Award Honoree Bart Bookman - Orangetown Jewish Center, and Yasher Koach Award Honoree Hal Marcus - Temple Sinai. 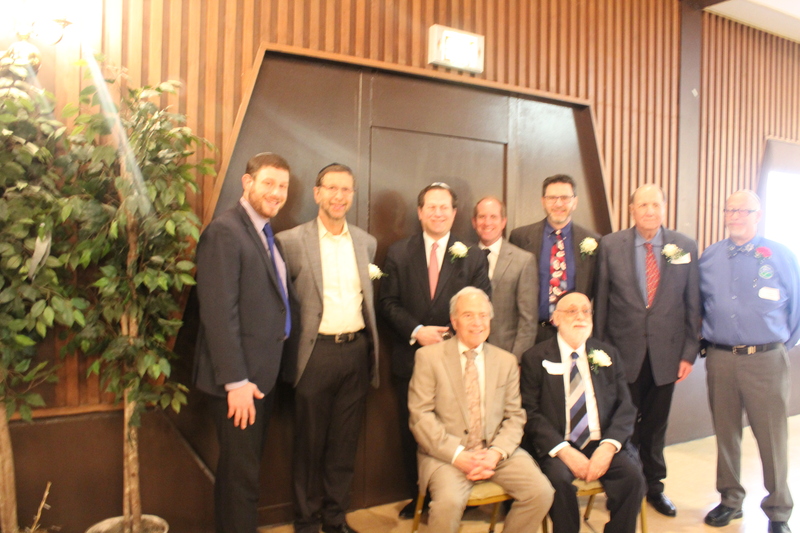 The event took place on Sunday, April 29, 2018 at Temple Sinai, Middletown, NY. You may view the journal at this link. This copy of the luncheon journal is in color and includes supplementary ads. Photos of the 2018 Luncheon are posted here . Evening before convention at Fenway Park. Grand entrance at opening ceremony. Four Torch Awards for Temple Israel Center! Allen Saperstein, Sue & Bruce Sicherman. Marc Levine, Rabbi Craig Sheff, Bart Bookman, and Rabbi Kerry Olitsky. Brent Firester with Lisa and Angel. HVR President Andy Alper and Alyse Alper. Ruach during birkat in dining hall. A learning session at convention. Bob Goodman. Marc Levine (on right) at Program Fair. Bart Bookman (on right) at Program Fair. Andy Alper, Rabbi Jeffrey Abraham, and Bruce Sicherman. Bruce Sicherman, Bruce Green & Andy Alper with Quality Club Award. We are now on Facebook thanks to Dan Hammer, Past HVR President. The Hudson Valley Region Facebook page may be found at this link . Please LIKE us. Dan plans on posting regional events, and keeping our members informed on the various activities that are planned in the region. Our Mission - The Federation of Jewish Men's Clubs is an organization of approximately 230 Conservative/Masorti Jewish men's groups consisting of 20,000 individuals across North America and the world. The FJMC involves Jewish men in Jewish life by building and strengthening Men's Clubs in the Conservative/Masorti Movement. Our objectives are to train and develop leaders to build and strengthen Men's Clubs; to create and implement programs to involve men in Jewish life; and to be an active and influential participant in the Conservative/Masorti Movement. We strive to increase the level of Jewish observance, participation in synagogue life, and brotherhood among our members. We do this by sharing ideas and pooling our talents and resources.